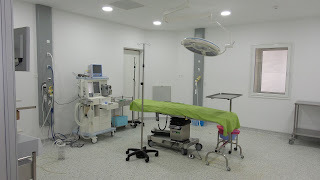 Polyclinic International Djerba offers these patients a surgery Containing 8 rooms that receive all the days of patients that will be supported in the best conditions of comfort and above all safety, in effect from the start, security anesthetic and other were the priority. And all rooms are equipped, and in the same way, monitoring, fans and high range operating tables. 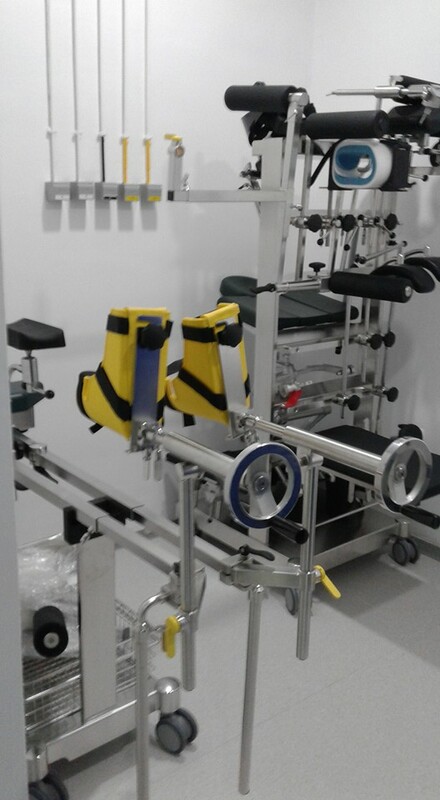 Our rooms are equipped with a ventilation system to the standards and available in orthopedics room of a laminar flow matching ISO5, the other rooms are ISO 7 and the CSSD. 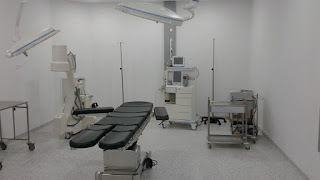 This block includes an orthopedics ophthalmology room, three function rooms and septic rooms dedicated to gastrointestinal endoscopy and possible small septic actions. Endoscopy has two columns and two rooms that can be, in fact fourths half days. 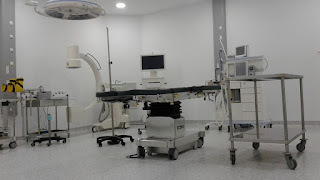 We also have a duodenoscope which allows for the interventional endoscopy (ERCP, ...) This is a first in all of southern Tunisia. Our tables support a weight of 300 KG in order to make the bar iatrique surgery, otherwise we have any type of surgery and heart surgery soon. A neurosurgery table (table, motor, boxes, etc.) Note that three neurosurgeons are currently installed in Djerba. Full gear urological surgery soon to be supplemented by a lithotripter, any type of laparoscopic surgery including bariatric surgery, a full tray of orthopedic and trauma surgery. Cosmetic surgery takes a particle in our clinic, we have indeed invested in a comprehensive technical platform without forgetting the comfortable rooms, to top it all, an aesthetic medicine tray was installed in the clinic (Laser, etc.) has to meet all the needs of aesthetics.